There are different types of sushi machines available in the market. Some sushi machines are used to produce sushi rice to prepare Nigiri, whereas some sushi machines are used to produce sushi rolls. These machines allow you to employ less qualified and less expensive chefs to cook your sushi dishes. Then there are other machines too such as the sushi conveyor belts and sushi freshness monitoring systems. Businesses like sushimachine.com.au offer a wide range of sushi machines. But before you make your decision to purchase any of these, let us have a look at some of their purposes. 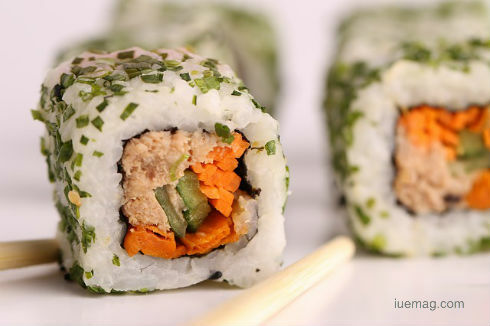 The sushi rice sheet making machine has a capacity of producing 950 sheets per hour. It is best for people who want to roll their sushi rolls by hand. Featuring advanced touch screen technology, this machine supports seven languages and allows you to adjust rice thickness, length and density according to your needs. This machine can cut up to 2200 rolls per hour. With two button operation, the sushi rolls cutter is best for cutting harder ingredients such as soft shell crabs. With a capacity of cooking up to 150 cups of rice, the heavy duty Suzomo sushi rice cooker consists of a computerised rice cooking controller and a steam sensor to turn off the heater automatically at the right time. An error display and alarm is also present to give you complete functionality and produce perfect rice in the large quantities you require. This highly efficient and fully automatic sushi dishwasher allows you to clean your sushi dishes saving you time and money. It can clean up to 1200 dishes per hour and is commonly used by restaurants. With the help of the latest RFID technology, the sushi freshness monitoring machine monitors your dishes as they are over the conveyor belt. You can set timers for how long you want each of your plate to stay over the belt. The cooked rice mixer can blend up to 12 kg of rice. It has the ability to blend rice and vinegar without pressurising the rice, as well as to cool rice at appropriate temperatures. This is why using this machine can help you produce high quality sushi rice. The Nigiri rice ball machine is an easy to use machine that has the capacity to produce up to 2000 Nigiri rice balls per hour. These rice balls are then automatically dished out on the rotating table. It also allows you to adjust the weight and density of your rice balls according to your needs.